Due to its proximity to the nation’s capital, McLean, VA is home to a number of government officials, agencies and company headquarters. In addition, McLean is known for its stellar private and public schools, recreational facilities and ample shopping opportunities. Seated in Fairfax County, McLean will also be part of the county’s 40-year development plan to transform the area into a sustainable urban community. With so much to offer it’s no wonder that nearly 50,000 people choose to call it home. Thompson Creek Window Company® has deep experience in the McLean area. For 38 years, we’ve served as the region’s premier home improvement products company, helping homeowners replace windows and doors with beautiful, energy efficient options. A door can make a statement, provide security and protection from the elements. 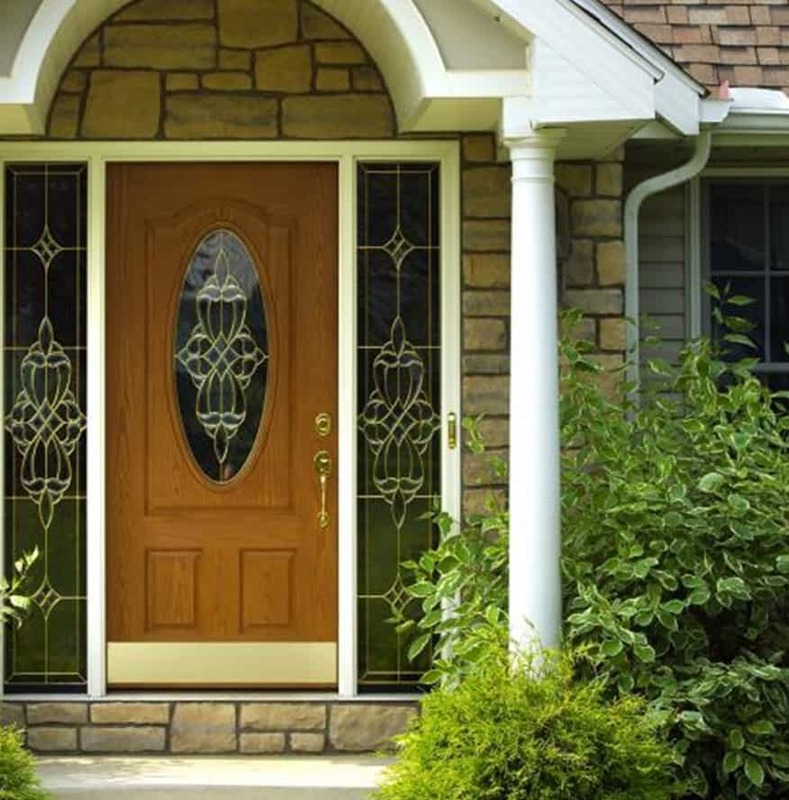 At Thompson Creek®, we’re proud to offer an array of custom replacement doors that are designed and manufactured in our local Maryland workshop. Top-shelf materials. From 20-gauge steel to polyurethane cores and rot-resistant wood frames, our American-made materials stand up to our diverse Mid-Atlantic weather conditions. Energy efficiency that exceeds 2018 ENERGY STAR® criteria. When your home’s energy efficiency goes up, utility bills go down. An array of colors, panels and patterns. Our wide variety of design options allow you to create a unique look that fits the aesthetic of your home. A custom fit. We build doors to fit your home’s exact specifications for a perfect look and a stress-free installation. A great return on investment. Steel entry door replacement provides a 101.3% return on the cost when you sell your home. With Thompson Creek, you get the best custom product at the best price – installed by experts in your McLean home. Like our replacement doors, our vinyl replacement windows are custom designed and manufactured in our local Maryland workshop. Our windows are made with the best quality glass and vinyl on the residential market, providing your home with light, warmth and cooling throughout the year. Are strong and durable. Our windows are AAMA-tested to stand strong in winds reaching up to 146 miles per hour. Exceed 2018 ENERGY STAR® criteria. By insulating against cold winter air and the steamy summer heat, you can lower your utility bills all year around. Are easy to clean and operate. No elbow grease needed here – our unique tilt-in sashes make for easy cleaning and operation. Provide a great return on investment. Thinking of selling your home some day? Window replacement yields a return of up to 82.8% on the cost when you sell your house. The installation experts at Thompson Creek will install a roofing system tailored to your McLean home’s specific needs. Our expert crews handle everything from pre-construction inspection to installation and service with a keen eye for detail, so you know the job will be done right, and you know who will be accountable to you for service. That’s why 97% of our roofing customers would happily recommend our roofing services. Contact us today for a free assessment and quote on your McLean roofing project. When Thompson Creek® opened its doors in the 1980s, we did so with a commitment to providing homeowners with the best performing products and the most reliable service. That’s why we back all of our products with an unbeatable double lifetime guarantee – making your Thompson Creek® windows and doors the last you’ll ever need to buy. Start your next home improvement project today. Get a free no-obligation quote and find out how our replacement doors and windows can improve the beauty and value of your home.